Dec. 2018 Update: Yay the mask is available at a TON more spots, including Barney’s, Neiman Marcus and Amazon. 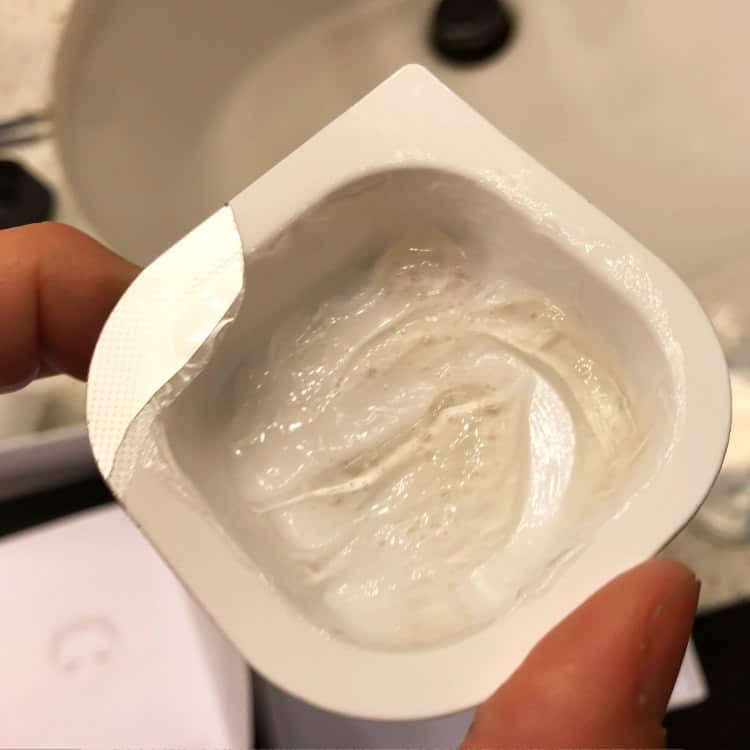 I had a TON left over in my $29 set — I wouldn’t recommend “saving some for later” because part of the fun of the mask is combining different ingredients — but I did wish my mother or best friend were with me so we could’ve done it together. (My husband valiantly turned it down.) I wound up just putting the rest on my face, but it really felt like I could’ve stopped at the two-thirds point, which could have easily been the halfway point if I’d skipped my chest or hands. Oooooh, it’s tight: they were not kidding about that. I made the mistake of watching some SNL videos while I waited for it to dry and it hurt to laugh (I didn’t want to put on my glasses and I’m blind enough to need to stay put once they’re off). Another bonus: you get to look like this after about 10 minutes in. Did it work? Well: I did catch a view of my face in a mirror in sunlight and found myself thinking, HEY, I do have some of Drew Barrymore’s luminous glow. Not QUITE as much as she does, but then again, she owns a skincare and beauty company AND probably has a trainer and regular facials at fancy spas and blah blah blah and I, well, not. The big caveats here, of course, is that a) I’m kind of into skin stuff right now (I’m still doing my regular skincare regimen, using Good Genes on a regular basis, and I just bought a sampler set of Drunk Elephant stuff that I’m loving) so who knows whether this particular mask had any effect on my skin or whether it was, you know, cumulative, b) I must admit I didn’t really study my face in sunlight BEFORE the mask, and of course, c) I’ve been pretty lucky thus far with “good skin” (and hooray for extra pounds being great for keeping wrinkles at bay!) so, yeah, there’s that. 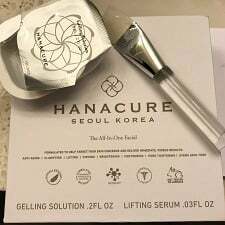 TL;dr Hanacure mask review: I’d buy it again — particularly for a night in with girlfriends. 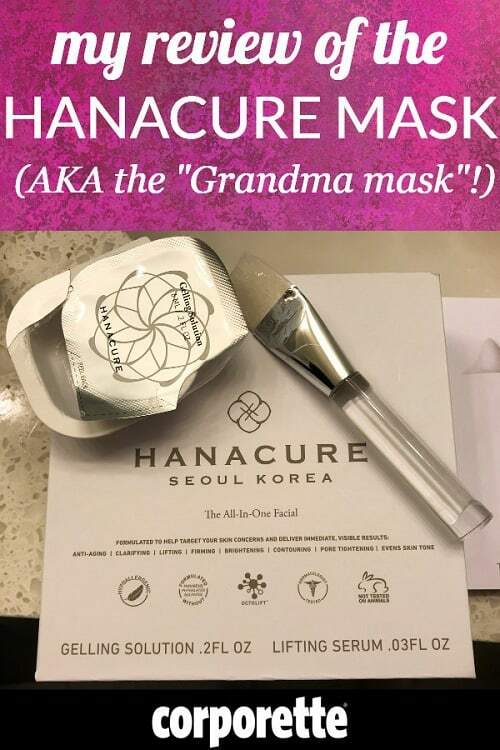 Ladies, have you tried the Hanacure mask? What’s your review? 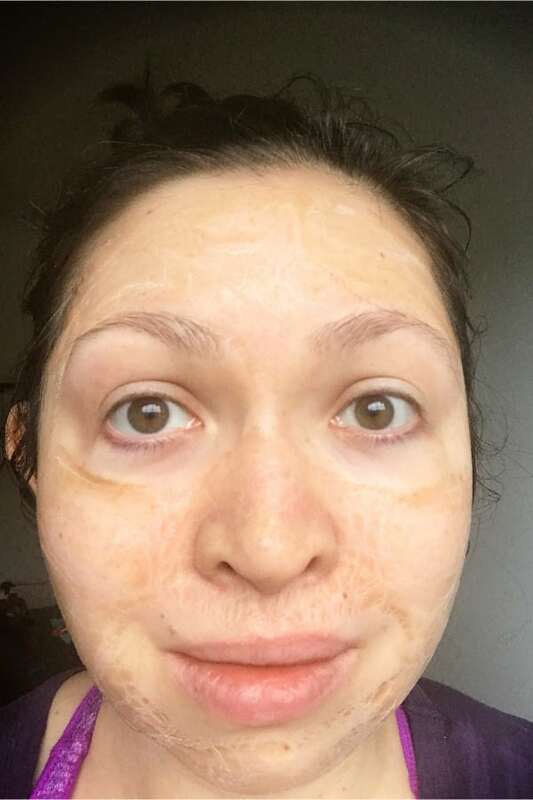 Are you generally a fan of facials at fancy spas, or do you prefer to do your skincare at home? Have you tried anything lately that you’re loving? Does anyone have any advice? I feel like I made one bad job move and am now unemployable. I spent 4 (miserable) years in BigLaw, and after a year-long, very thorough job search moved to a much smaller firm with a specialty that I thought would be right for me. I was wrong and realized it fairly quickly. I am also pregnant with my second child, due in August. There won’t be any leave so I am leaving after 6 months in a few weeks. I have been applying to jobs in a completely separate field (not law) but am getting very limited responses–and now I’m visibly pregnant. Soon I’ll have a gap on my resume, which won’t help. I’m 30 and I haven’t been without a job since I was 16. I’m crippled by fear mired in self-doubt. My husband seems to think I should just enjoy being a stay at home mother for a while, as we can afford it. Maybe I could, if I believed that I would be able to get another job a year from now. Also, my first child is 18 months and has become difficult to manage, especially as I get more pregnant and have difficulty holding him for long stretches. I feel like I spent all of my teens and twenties doing difficult, unpleasant things because I believed that there would be a payoff, but maybe it was all a waste. I”m so sorry. It sounds like the way you’re defined yourself all your life (well, since 16!) has been by your work and achievements. Now, those have (temporarily) let you down. You’re going to be facing a re-identity phase now that will feel shaky, since you have no experience with it. But that’s OK. You’ve tackled tough things before, just not THIS tough thing. Just like you learned how to be a lawyer, you can learn how to be OK with whatever your life / job / career looks like from here. And on the other side, you’ll still be employable. I promise. Oof. I’ve been in similar shoes. It’s SO hard not to internalize career rejection/non responses. I do think that if you’re going to have a resume gap, “kid” is a pretty damned good reason. Yes – just make sure that you keep your professional network alive while you’re home with the newborn so you can plan to re-enter the workforce. I’m so sorry you are going through this! I am 51 and have been through similar career ups and downs. 8 years at a big law firm, passed over for partnership, decided to be a full time stay at home mom to a new baby, after a year went to a different firm part-time, lasted two years there, back home full time until my daughter was 7, divorced and was thrown back into the job market in the midst of a recession. Found a job! After two years, found a better job! After five years, found an even better job! My point is that it’s OK if things are not going perfectly in your career right now. That happens to lots of people. Some people get laid off from corporate positions for no good reason and have to reinvent themselves – that happens all the time! Careers are always a work in progress. Don’t give up. Having job(s) that you don’t like shows you what you DON’T want in your next position and you can make even wiser choices the next time. Even though you did a thorough job search, there’s only so much you can find out about a place until you are actually there, doing the work. It’s OK. If you want to work rather than stay home, keep trying. Keep networking. That is the only part you can control. It was not all for naught. You will find your way! I’m in a similar (but VERY different!) boat. I’m considering taking a job that I know I won’t enjoy as it has the potential to launch me into the space I’d like to be in in about a year. The company has a sling of poor reviews on Glassdoor, but would allow me exposure to a different side of my world, and contacts that could help me get where I want to go. On the other hand, if I stick it out for a year where I’m currently at (which is also less than great), I level up to 7-10 years experience in my specific field. Better the devil you do know, or the devil you don’t? I’m afraid of making a bad move. How do you know? Congrats on the baby, btw. As other commentators have said, taking a break for baby is generally viewed as one of the few legit excuses. Hope it all works out! Thanks All! I appreciate your insight. Hopefully this is a moment that will pass.